Liverpool-SNU – The official site for Liverpool Spiritualist Church. The official site for Liverpool Spiritualist Church. The Committee of Liverpool Spiritualist Church, will always endeavour to extend a warm hand of friendship to anyone who enters the Church, regardless of race, colour, religion or sexuality. We respect all opinions, and would like to think you will be able to respect ours too. We are very proud of our lovely, vibrant, giving community. We love the energy and passion each and every person brings with them into our church – helping us grow and develop. WHAT HAPPENS IN OUR CHURCH ? nothing to be afraid of, as it is all done in an atmosphere of Love & Light. Mediums are insured and registered with the S.N.U. Healing Committee. The Church has an area as you enter the building, where refreshments are available (at a reasonable charge) before every service and in the case of Extravaganzas, during the interval as well and we respectfully ask that you do not bring food or drinks into the Church. The very small profit we make from the drinks, go towards cleaning the carpet, which has become badly stained from spilled drinks. We also have a shop with a variety of gifts at very reasonable prices as well as a raffle, so if you can bring a little extra money with you , it will save you being disappointed at not being able to purchase any of these items because we do not have the facility to take credit or debit cards. All the profits go to the building maintenance fund to keep our beautiful temple of light comfortable, warm, clean and welcoming for you. 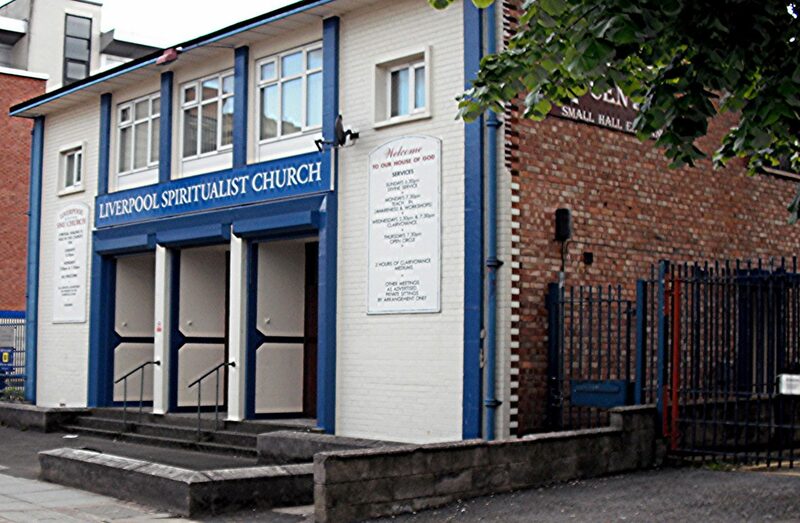 Liverpool Spiritualist Church has wheelchair access and toilet facilities for the disabled. Please ask at the main doors and we will ease your entrance into the building.